Does anger sometimes get the best of you? Are there days when you feel mad at the world? Anger is a common human emotion, yet it often leaves us squirming with discomfort and worrying that were not spiritual enough. 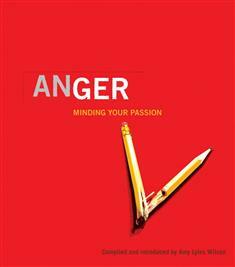 In Anger: Minding Your Passion, youll find a collection of writings that explore the constructive use of this powerful emotion. Sometimes we have every right to get good and mad. Its what we do with our anger that matters. As you read and ponder thoughts from such noted authors as Frederick Buechner, Sue Monk Kidd, Madeleine LEngle, and Thich Nhat Hanh, youll find validation for your feelings, as well as suggestions for handling anger. Youll discover that you can cope with anger while still believing in and having a relationship with God.